Everyone likes to have younger, better looking skin. If you’re looking for a simple regimen you can do at home, then the benefits of oatmeal bath at the end of the day is what you need. Oatmeal is well known as a healthy breakfast food. And while it does a great job in keeping you full while providing your body with the energy and proper nutrition for the day ahead, its health benefits exceed that. One of the lesser known uses of oatmeal is how it can help our skin. 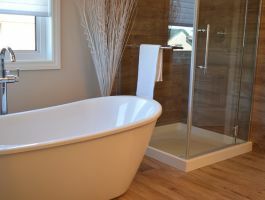 But making it into a bath and soaking in the oatmeal bath, you can rejuvenate your skin in an inexpensive, natural way. Here are some of oatmeal’s benefits for the skin. This makes this breakfast food far more useful that what we often think it to be. Oatmeal act as a skin protector. It works by helping in soothing the skin from irritation, itchiness and rashes. Hence, enjoying an oatmeal bath every now and then can be used to treat skin infections like Poison Ivy, caused by the plant. Chemicals in oatmeal, known as avenanthramides and phenols, are found to have anti-inflammatory properties. And thanks to these properties, using oatmeal in a bath helps to reduce the itchiness caused by the infection. Many people complain of dry skin. This is particularly true during winters. The changes in the climate, humidity and air make our skin prone to drying during certain seasons of the year. Of course, you can try to keep your skin moisturized by using all best skin care and lotion products. Many of these products work. The good news is you can use a much cheaper, more easily available alternative – oatmeal. The added bonus to all this is that oatmeal is natural. It contains no chemicals, additives or ingredients that can be harmful or cause irritation to skin. So, if you suffer from dry skin, try taking oatmeal baths every now and then. Dry skin usually has a high pH level. Oatmeal helps to neutralize the pH level. Doing so helps make your skin feel softer and smoother. This popular breakfast food may also be used for other skin conditions. 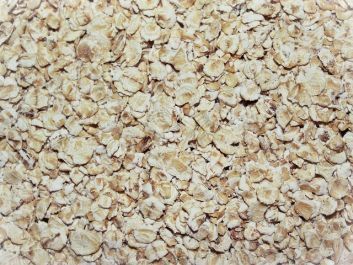 Some of the skin issues that oatmeal is able to help with include those such as chicken pox, psoriasis, eczema, sunburns and many others. It helps in providing a temporary soothing effect to your skin. Saponin, a chemical present in oatmeal, has cleaning properties. This makes oatmeal baths all the more worthwhile. This is why it is sometimes used in soaps and shampoos. Its ability in helping rinse off dirt and allergens is why you’ll find oatmeal among the ingredients in some beauty and skin products. At home, when oatmeal is mixed with honey and water, you can make a facial mask that will help rejuvenate your looks. This oatmeal facial mask helps in providing you with a glow and freshness to your beautiful face. It also helps in evening out skin tone and texture. We like using oatmeal for the skin because it is natural. In fact, you do not need to have skin problems to have an oatmeal bath. If you are fatigued from a worked up schedule, mixing some oatmeal in warm water may provide relief from all the kind of stress you have been experiencing. And, it helps relax your body. 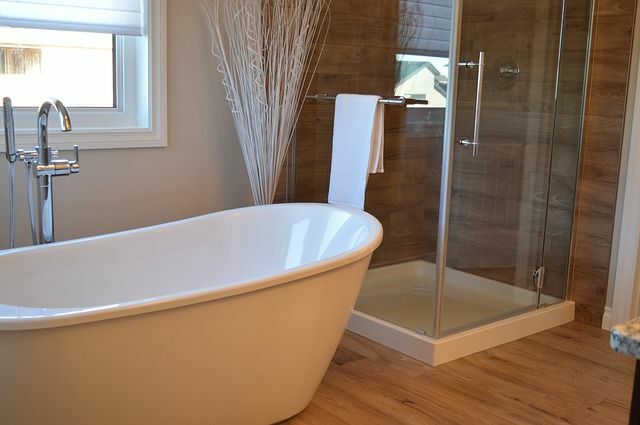 Oatmeal baths are also said to help reduce the signs of aging. Adding oatmeal into a water bath isn’t just for you. It may provide benefits to your pet as well. This is especially true for dogs who have a rash, dry skin or some kind of irritation. Additionally, the bath has benefits in store for babies too. Babies are born with soft and delicate skin. This means their skin needs proper care and attention. Due to their delicacy, babies are found to have diaper rashes very often. As oatmeal is a natural skin protector, giving your baby a bath in oatmeal can help in getting rid of the rashes. 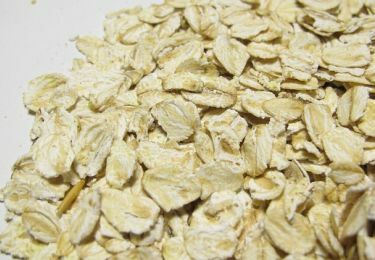 Due to these benefits, Oatmeal is highly recommended by dermatologists. 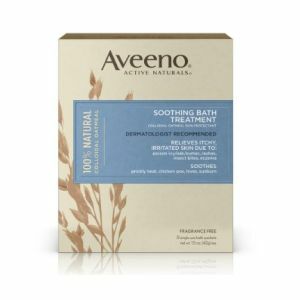 You may make your own oatmeal bath at home or use products that have oatmeal as their main ingredient such as AVEENO and Cetaphil. It appears that things that carry benefits for our inside may also aid us outside. Having researched about their benefits may make life easier by using them as home care remedies. Often, we may remain ignorant of the multiple advantages a product may provide. This is at least until it comes to us as a surprise. When you hear of oatmeal, you might perhaps associate nutritional benefits with it. Some of these benefits include those such as the intake of carbs and protein. And, its ability as an instant energy booster that makes your day bright. However, oatmeal has other health and beauty benefits. Hence, it may be found in your bath apart from your breakfast table. All the more reasons to love oatmeal.